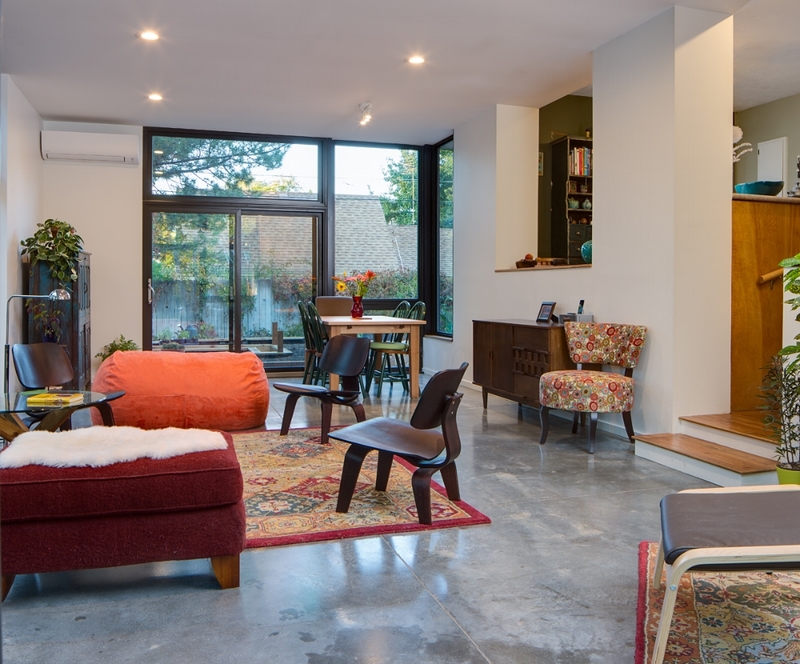 Designed using Passive House principles (airtight construction, super-insulated, high performance windows), this addition to an existing house provides the owners with a high performing multi-purpose space used for dining, living, lounging, etc. 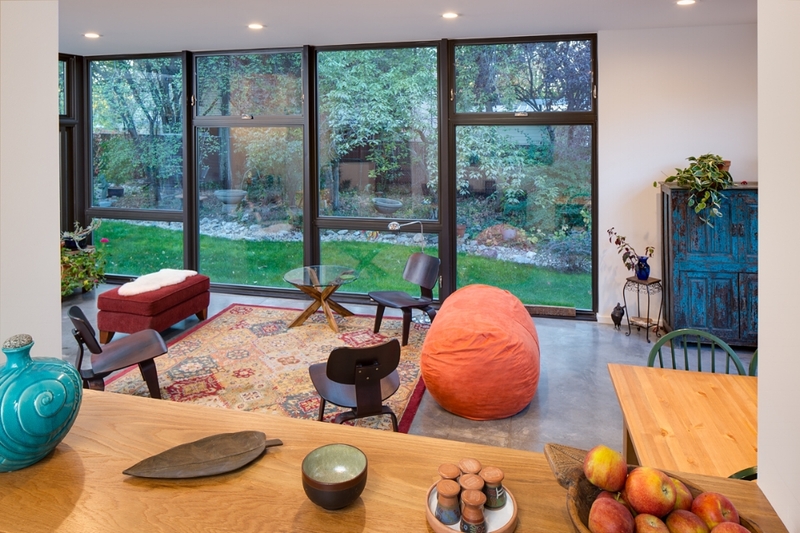 The combination of steel siding and glass lends a contemporary feel to this light-filled space. The owners refer to the new addition as the garden room for the way it brings nature into the space.